Haryana girl Nishtha Dudeja has proved that disability cannot come in the way of success. She has won the Miss Deaf Asia 2018 title at an international pageant held in Prague recently. Nishtha, who is the first Indian to have won any title at the Miss Deaf World Pageant, said on Monday that she faced tough competition from contestants from China, Thailand, Taiwan, Israel, Czech Republic, Belarus, Mexico, South Africa and other countries at the 18th edition of Miss and Mister Deaf World -Europe -Asia Beauty Pageant 2018 held recently at Prague, Czech Republic. The 23-year-old Panipat girl is a commerce graduate from Venkateshwara College, Delhi University, and presently pursuing MA in economics from Mithibai College, University of Mumbai. Prior to this title, Nishtha had also won the Miss Deaf India title on February 26 this year in Jaipur. She is the brand ambassador for Sivantos India Pvt Ltd. (Formerly Siemens hearing Instruments Pvt Ltd.), the world's leading brand of hearing aids, having about a 25 per cent market share globally. Ved Prakash Dudeja, father of Nishtha and Chief Engineer in the Northern Railways, gave the credit of his daughter's success to his wife who has worked hard for Nishtha's success. Thank you ! On winning , I want to convey that the differently abled people don't need sympathy or pity. All they need are opportunities to prove themselves. 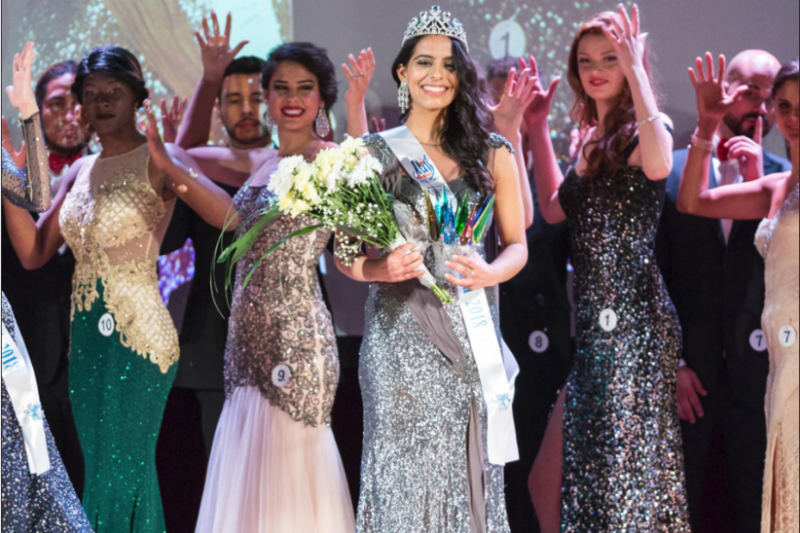 Check Out Nishtha Dudeja journey to the 18th edition of Miss and Mister Deaf World -Europe -Asia Beauty Pageant 2018 held recently at Prague, Czech Republic.